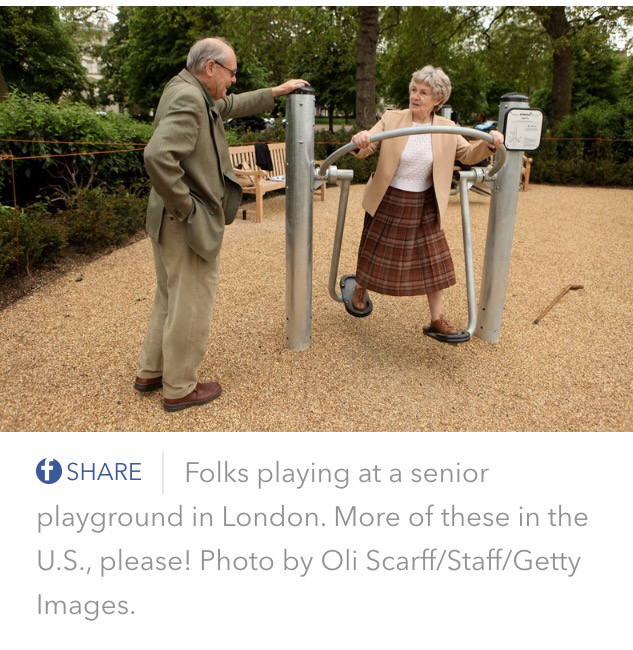 If we had a playground for seniors in our town, I’d definitely be up for it! What FUN!!!! This entry was posted on August 11, 2016 by annj49 in Blog, seniors and tagged playgrounds, seniors.